A chain of eateries serving all folks of life with good food and low prices and garlic fried chicken as specialty. Franchising nationwide. Low franchise investment for a restaurant! 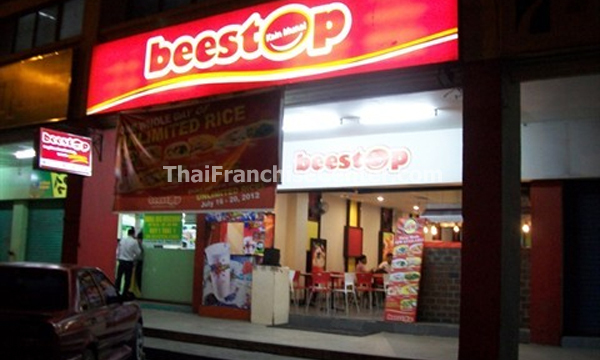 Beestop was born in the heart of General Santos City in 2007 in RD Bldg., Santiago St. It is owned and managed by a practicing culinarian and a product of Gerardo’s School of Culinary Arts and Cake Decorating Inc. in General Santos City. A restaurant established to serve delectable Chicken Specialties and Pancit Pyesta Menu to families, group of friends, young professionals and students who, despite tight budgets still deserve the best tasting dishes. It offers its most sellable Garlic Fried Chicken, Chicken Inasal and Homestyle Fried Chicken and the most loved Pancit Pyesta Dishes of Filipinos. Aside from these, the foodhauz also offers scrumptious foods that will surely satisfy the cravings of customers without sacrificing their budgets. The foods are prepared with such meticulousness that one could swear they look gastronomically appealing and heavenly tasty. Undeniably, Beestop’s Menu never fails to give satisfaction and delight to every customer’s taste bud. It strictly maintains its standards for serving affordable and delicious meals. It's armor against unyielding competition...given its BEST TASTING GARLIC FRIED CHICKEN, CHICKEN INASAL AND HOMESTYLE FRIED CHICKEN and PANCIT PYESTA MENU.. EXCELLENT SERVICE and CUSTOMER SATISFACTION. Required Space : Minimum of 20 sqm.